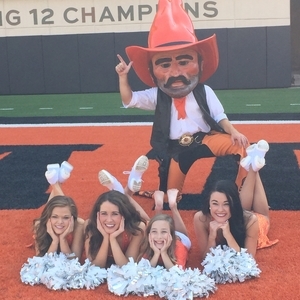 THE MISSION OF COWBOYTHON IS TO ENGAGE THE COWBOY FAMILY IN GENERATING AWARENESS AND FINANCIAL SUPPORT FOR OKLAHOMA'S CHILDREN'S HOSPITAL FOUNDATION, AN AFFILIATE OF OUR LOCAL CHILDREN'S MIRACLE NETWORK HOSPITAL. Children's Hospital Foundation strives to improve the health of children through research and education programs. All funds raised in Oklahoma stay in Oklahoma so no family has to leave the state for their child to receive the care they need. Children’s serves families in all 77 counties, and by making an investment in Children’s Hospital Foundation, you are putting your money where the miracles are. CowboyThon is proud to be Oklahoma State University's largest philanthropy, and an active and spirited member of the Cowboy Family. OSU was founded as a land-grant institution in order to improve the lives of Oklahomans through higher education. We believe that our work for Children's Hospital Foundation is yet another way America's Brightest Orange can continue to brighten the futures of thousands of Oklahoma children each year. Miracle Network Dance Marathon is more than an organization, it is a movement. We are one of over 300 colleges and universities that share a common mission: ensuring the best healthcare for local sick and injured children at our more than 170 benefitting hospitals. 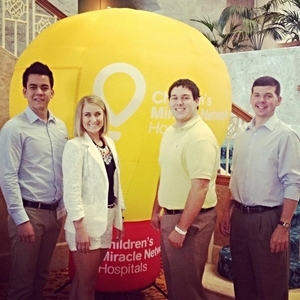 We are driven and passionate to help make miracles happen For The Kids (FTK). Miracle Network Dance Marathon is this generation, fighting for the next. THE START: In 2011, several students started what would become a legacy at Oklahoma State in order to host one of the largest philanthropy events the Cowboy family had ever seen. After a year of planning, the first main event was held in February 2012. Over 500 students danced and fundraised - resulting in a grand total of $28,500. The group was humbled to learn they had launched one of the most successful first year Dance Marathons in the nation. A NEW NAME: Since its inception, OKStateDM has grown in nearly every way. In 2015, Children's Miracle Network officially branded the Dance Marathon movement as Miracle Network Dance Marathon. To better represent what our organization stands for and unite ourselves with the larger network of Dance Marathons, we changed our name to CowboyThon. This new name has helped usher in a new generation of Cowboys as we continue to grow and make miracles for Oklahoma's children.